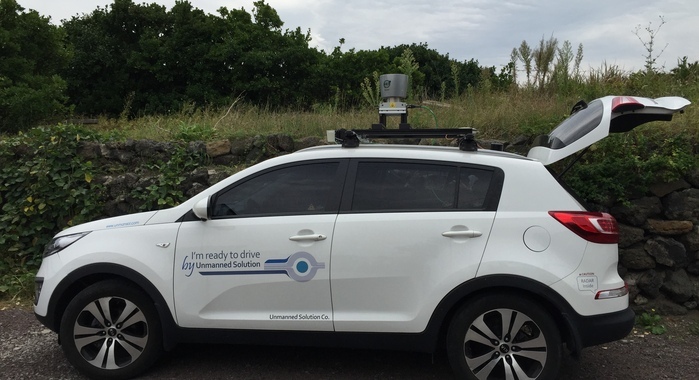 Velodyne LiDAR Inc has announced that the company will be working with Unmanned Solution (UMS) of South Korea for testing of autonomous vehicles. Velodyne specializes in the development of 3D vision systems for autonomous vehicles and will work on integrating its advanced LiDAR sensors as part of its UMS expansive autonomous technology development program. UMS has an autonomous program covering a wide range of activities, which include testing of on-road vehicles, agricultural equipment, robots, and autonomous systems integration, as well as the development of an instructional platform for educational programs serving students studying autonomous and robotics technology. So far, the company has deployed over 100 autonomous vehicles in South Korea which have been fitted with different combinations of Velodyne’s VLP-16, HDL-32, and HDL-64 LiDAR sensors. UMS has an expanding fleet of test vehicles and is working to finetune the safety aspect through extensive testing of car control and sensor fusion technologies. Commenting on the partnership, Wei Weng, Asia Regional Director, Velodyne LiDAR said that UMS is bringing about a transformation in the way people interact with technology through its focus on spreading autonomous technology across all aspects of work and daily life, including educational platforms to train future engineers. Moon HeeChang, CEO, UMS. Said that as a global leader in perception system technology, Velodyne is providing autonomous testing programs like those from UMS with critical data needed for safe and reliable real-world testing and deployment. He concluded by saying that LiDAR sensors from Velodyne have helped UMS create an incredibly diverse autonomous technology program.